This recipe is wonderfully light and a perfect accompaniment to other Mediterranean inspired dishes. The bright notes of lemon shines through with lemon juice and lemon zest used while the flavor of artichoke lies in the background. Served with various vegetable crudite or pita bread, this makes for a healthy snack. Process chickpeas, 3/4 cup chopped artichokes, garlic, lemon zest, salt, cumin, cayenne, and parsley in food processor until almost fully ground, about 15 seconds. Scrape down bowl with rubber spatula and add the lemon juice and water. Continue processing for another minute. With machine running, add oil-tahini mixture in steady stream through feed tube; continue to process until hummus is smooth and creamy, about 15 seconds, scraping down bowl as needed. Transfer hummus to serving bowl. Sprinkle reserved artichokes and paprika over surface, cover with plastic wrap, and let stand until flavors meld, at least 30 minutes. Drizzle with olive oil and serve. i really have no excuse for not having made hummus at home myself before. it makes no sense because i really enjoy it. Wow this sounds so good!! I will definitley have to try it! 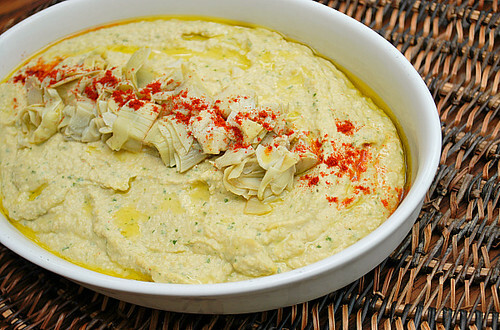 If I had known you could make hummus without tahini, I would have started making it years ago! This was exactly like the title says -- extra easy. I did add a little lemon to suit my taste. I liked the lighter texture of this hummus , and the flavor is bright too. It got good reviews at my family gathering yesterday. What a great idea to add the artichokes. I am definitely making this. Delicious & will make again. 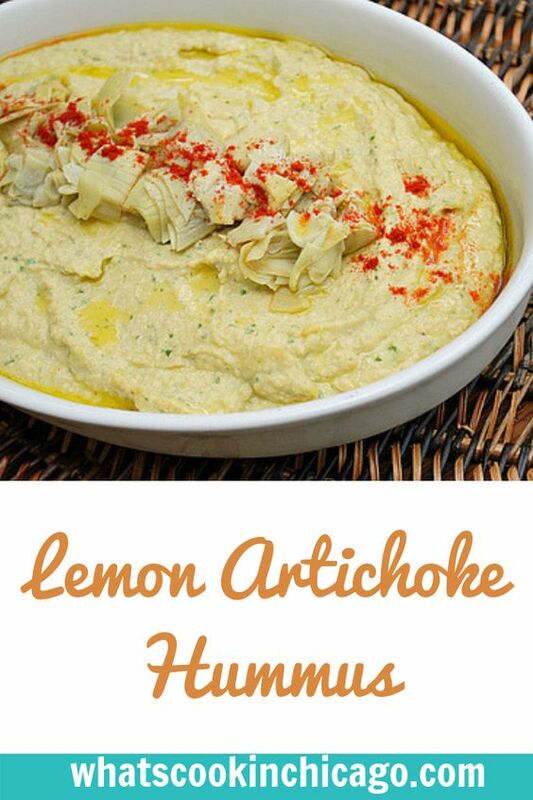 I added half of the marinade from the artichokes for a creamier hummus. This is really good. I did mix and match this recipe w/ the Italian Seasoning I, since the only difference btwn the two seemed to be the red pepper flakes, the use of Savory, and the use of sage. I didn't have any Savory so I just added the sage (only 1tbsp) and the red pepper flakes Only problem was that it was too spicy for my daughter. So when I run out of what I made I will make it w/out the red pepper flakes and add it separately. I used this to make two items. The first was the fanned Potatoes recipe on this forum and the second was to make a spaghetti sauce. I've always made my own, but used the store bought seasoning and this is by far much better. My husband is not a huge Spaghetti sauce fan and he raved about it. Will continue to use this in all of my Italian cooking endeavors. Wow! It was perfect! My kids loved it and it was just as good as going out to a restaurant. I made this for a sunday lunch and was a real hit altho i think i could have used less sugar as it came out tasting really sweet - great for my sweet tooth, but probably not for the others! I think either add less sugar or less syrup into the main cake bit and it'll be perfect! Well, I added half of the marinade from the artichokes for a creamier hummus, Thanks.